New research published today helps explain why people experience muscle loss in old age, increasing the prospects of reversing the condition in the future. 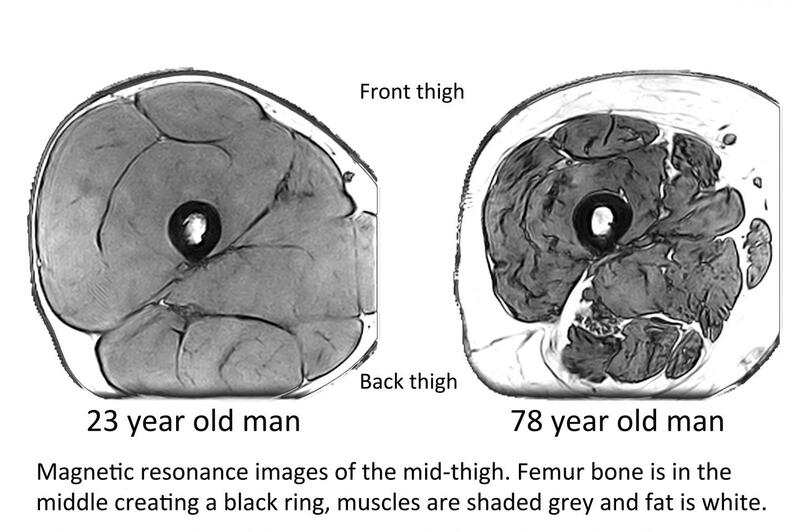 As people grow older, their leg muscles become progressively smaller and weaker, leading to frailty and disability. While this process inevitably affects everyone living long enough, until now the process has not been understood. This new research, published in the Journal of Physiology, suggests that muscle wasting follows on from changes in the nervous system. By the age of 75, individuals typically have around 30 – 50% fewer nerves controlling their legs. This leaves parts of their muscles disconnected from the nervous system, making them functionally useless and so they waste away. Professor Jamie McPhee, the senior author on the research, commented on the significance of the findings: "Our challenge now is to find ways to increase the success of nerve branching to rescue detached muscle fibres and thereby reduce the numbers of older people in our neighbourhoods with low muscle mass and muscle weakness. Right now in Europe there are at least 10 million older people with low muscle mass, which is a medical condition known as sarcopenia. They are at higher risk of social isolation, falling, bone fracture, disability and hospital admission. Weakness makes them particularly vulnerable to falls in bad weather, as we've had in recent weeks. Our research helps to explain why muscles decline with advancing age and this new knowledge will help in the search for effective countermeasures." Dr Mathew Piasecki, the study lead author who has since taken up a position at the University of Nottingham, said: "One of the earliest attempts at research similar to ours showed results from a small group of older people who apparently had just a couple of surviving nerves feeding into a foot muscle. When we started out with our research we were very sceptical of the old data and thought it was an anomaly of out-dated testing procedures. However, now that we have tested a couple of hundred men we think the early observation was probably correct. We have also observed some very old muscles with just a few dozen nerves left, where young and healthy adults have hundreds."